KUALA LUMPUR, April 27 (Bernama) -- Malaysia again won the Health and Medical Tourism Destination of the Year award for three consecutive years. 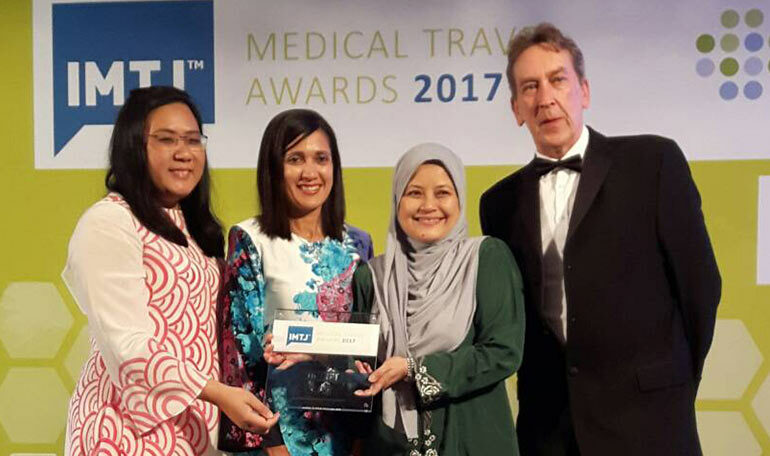 The International Medical Travel Journal (IMTJ) Awards 2017 was presented to chief executive officer of Malaysia Healthcare Travel Council (MHTC) Sherene Azli in a ceremony in Opatija, Croatia on Wednesday night. The awards ceremony was hosted in conjunction with the IMTJ Medical Travel Summit which took place in Opatija on Tuesday and Wednesday (April 25 and 26). The award, judged by a team of 23 judges from around the world, has further cemented the country s position as the top leading medical tourism destination that provides top-notch and innovative healthcare services. Sherene when contacted by Bernama said they are humbled to be given this recognition once again. "With the three years (consecutively receiving the) award, the expectations have grown since then and we really have to up our games in terms of delivering the best of quality care for our medical travellers and giving them the peace of mind. "Having created awareness that Malaysia is a viable option as a medical tourism destination, we must now raise that awareness to an unprecedented level. We have much work to do," she said. Adding icing on the cake, she said MHTC also received for the first time, the "Health and Medical Tourism Cluster of the Year" award. Sherene said the award recognised efforts by a health or medical tourism cluster or association that demonstrated unparalleled qualities in organising, managing and stewarding medical or health tourism organisations and enterprises under its umbrella. "So the whole idea is that when we go out and we promote Malaysia as medical travel destination, we want them to come to Malaysia, experience Malaysia healthcare and embrace Malaysia hospitality," she said, adding that the country's healthcare was also of world class quality, accessible and affordable. Highly Commendable (Sunway Medical Centre). The annual IMTJ Medical Travel Awards recognise innovation, excellence and best practices in the medical travel and medical tourism sector.